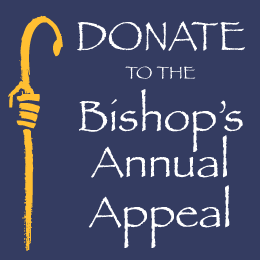 With unprecedented requests for food coming from the poor throughout Passaic, Morris and Sussex counties, Bishop Serratelli has authorized the second annual diocesan-wide food drive in all parishes to assist the food pantries at Catholic Charities and at parishes. This June, in honor of the Feast of St. Anthony of Padua, Father Paolo Floretta will bring a holy relic of St. Anthony of Padua from his Basilica in Padua, Italy, to parishes in the tri-state area. Bishop Serratelli will ordain 13 men to the permanent diaconate at 7:30 p.m., Friday, June 5 in St. Peter the Apostle Church here. This class of permanent deacons is the first to be ordained in the diocese since 2009. Bishop Serratelli made a pastoral visit for the Seventh Sunday of Easter to St. Paul Parish here May 17. During his visit, he administered the Sacrament of Confirmation to young people of the parish, who prepared for the sacrament through the parish’s Confirmation program. Bishop Serratelli administered the Sacrament of Confirmation to young people at St. Jude Parish here May 12. The young people prepared for the sacrament through St. Jude’s religious education program. Bishop Serratelli had the joyful distinction of ordaining the largest ordination class in the nation May 23 in St. Philip Church here. The 14 men of diverse cultural backgrounds and life experiences that he ordained to the priesthood for the Paterson Diocese were matched only by the Archdiocese of Chicago in number as the most for any diocese in the United States. Sainthood may be imminent for Blessed Mother Teresa. Word that the beloved nun could join the Communion of Saints sooner than later was swirling through the Vatican in recent days with the upcoming Jubilee Year for Mercy providing the perfect backdrop for the canonization ceremony. The N.J. Schools Devel­op­ment Authority (NJSDA) has purchased the property located at 764-804 11th Avenue, Paterson, from the Diocese of Paterson for $30 million. Bishop Serratelli made a pastoral visit to Our Lady of Good Counsel Parish here May 16 and during the 5 p.m. vigil Mass administered the Sacrament of Confirmation to young people of the parish. ﻿﻿﻿﻿Bishop Serratelli celebrated Mass and distributed First Holy Communion to 15 children at Our Lady of Mercy Church here during his pastoral visit to the parish May 9 at 2 p.m.. The Mass was the second of two First Holy Communion celebrations at the Whippany parish. Bishop Serratelli made a pastoral visit to St. Catherine Parish in Ringwood May 9 and administered Confirmation during the 5 p.m. vigil Mass. Space remains available for anyone still interested in joining a contingent of 100 Catholic youth, young adults, adults and families from the Paterson Diocese, including Bishop Serratelli, for a once-in-a-life time pilgrimage to World Youth Day (WYD) in Krakow, Poland, from July 24 to Aug. 1, 2016. Bishop Serratelli blessed the new headquarters for diocesan Migrant Ministry’s Catechetical Center here May 2, which provides outreach to the local immigrant community and more space to conduct a broad spectrum of activities related to religious formation, education, training and spirituality. Throughout the Paterson Dio­cese, schools, youth ministries and parish groups participate in service projects to give back to the community. At Straight and Narrow, a diocesan Catholic Charities agency, Joe Duffy, executive director, is inviting parish groups to volunteer and “adopt” rooms at its residential facilities. Adopting a room consists of painting rooms. Bishop Serratelli will ordain 14 men of diverse ages, cultural backgrounds and life experiences to the priesthood — part of the largest ordination class in the Paterson Diocese since 1974 and largest that he has ordained — at 10:30 a.m., Saturday, May 23 in the St. Philip the Apostle Church here. Seventy-four sisters, brothers and priests serving in the Paterson Diocese, who are celebrating significant anniversaries in religious life this year, were honored by the Paterson Diocese May 16 for bringing love and hope to all in their vocations. Every year on the last weekend in May, hot dogs, barbecues, parades, yard sales and the escape to a shore or lake home usher in the summer. For the young, the ending of the scholastic year is on the horizon; for the adults, a much needed vacation from work. ​My name is Fr. Francis Mary Roaldi, CFR. I was born in Buffalo, NY, so a New Yorker, but certainly not in the normal sense of the term. I'm the eldest of three children and we had, by all accounts, a peaceful and beautiful childhood in the suburbs of Buffalo where my parents, Art and Mary, still live after 38 years in the same house.